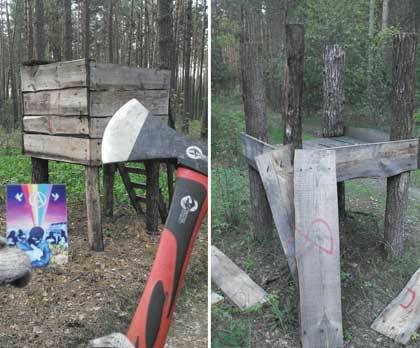 "During the weekend (June 10-12), despite the rainy weather, ALF activists went into the woods near the river in the Borodyansky district of Kiev. 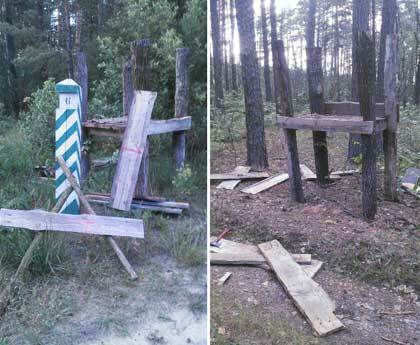 It had become known to us that in these parts hunters use towers to shoot wild animals. Forest defenders had stumbled upon a number of these structures. A total of 12 hunting towers were destroyed. In the forest were traces of wild boars and hares. We hope that our actions will prolong their lives.